shootout against millwall to secure their place in the fa cup semi—finals. good evening. 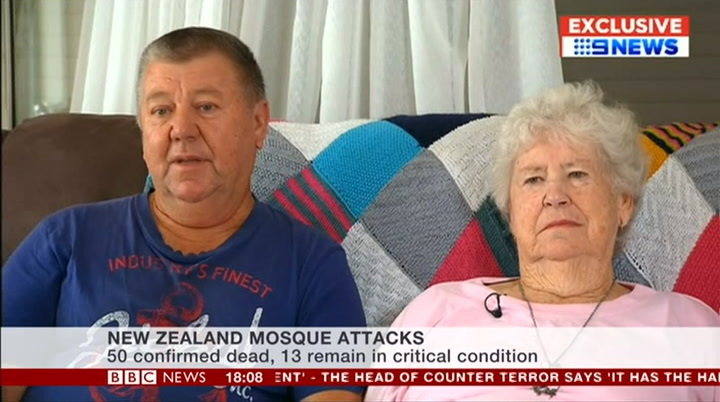 new zealand's prime minister says her office received an email containing the far—right views of bra nton tarra nt just minutes before 50 people were shot dead in two mosques in christchurch on friday. 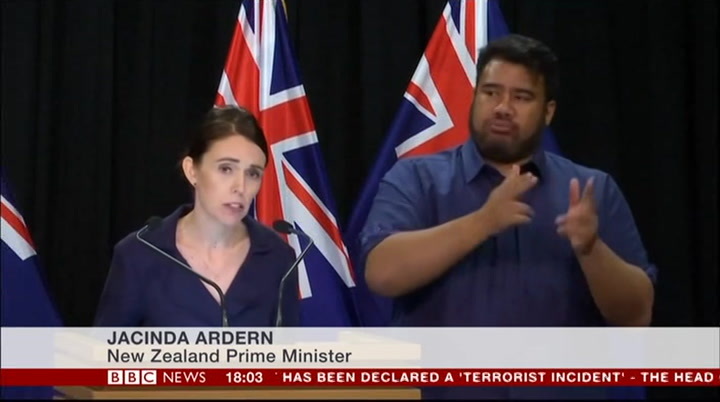 butjacinda ardern said it contained no details of the planned attack — the worst mass shooting in the country's history. tarrant has been charged with murder and is due to appear in court again next month when he will probably face more charges. from christchurch, rupert wingfield—hayes sent us this report. 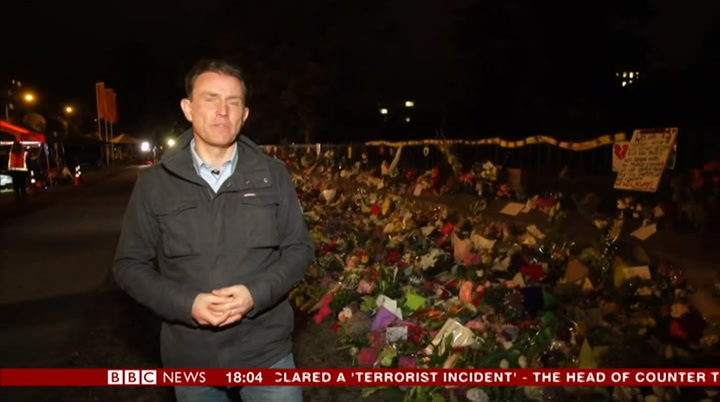 in christchurch on sunday morning, the outpouring of grief and solidarity has continued unabated. close to the mosque where the first attack took place on friday, the flower tributes continue to grow, many people overcome with emotion. in wellington, prime ministerjacinda ardern made her own emotional tribute at the city's biggest mosque. but amid all this grief there is also anger the attacker wasn't stopped before he could carry out his deadly plan. prime minister ardern today confirmed her office did receive an email copy of the killer's political declaration just before the attacks took place. i was one of more than 30 recipients of a manifesto that was mailed out nine minutes before the attack took place. it did not include the location. it did not include specific details. 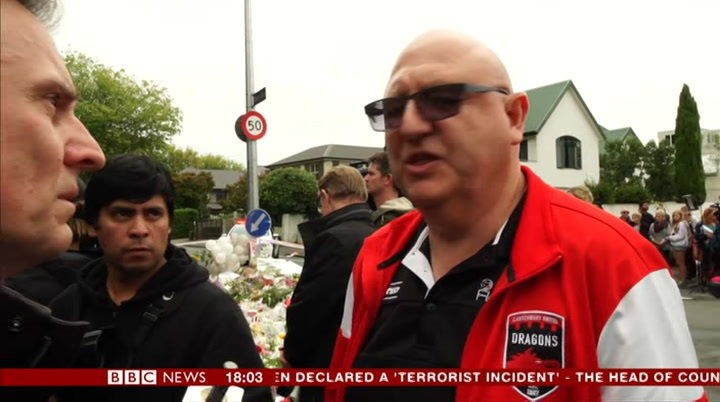 back in christchurch, a sports team has come to lay flowers. their goalie is among the dead. his coach has this message for the australian man suspected of carrying out the attack here, and anyone who shares his racist views. we are all one people. clear what you are saying. somebody tried to tackle the gunmen and they managed to bring him to the ground? yes, there was a companion — he was from afghanistan, he was a refugee. he brought him down and in that scuffle, he lost control of his gun. he got up and ran outside. this person who pulled him down, chased behind him, taking his gun. i believe there were no bullets. he emptied all of the bullets. at that moment, he ran behind the shooter's gun. i think he couldn't operate and nothing happened so he ran chasing him and then because he was ahead, i believe that he was going to the car to collect the other gun. just then, this person threw the gun at him. for all the dead and the injured. can't think of nothing else. just want to go home and hide. 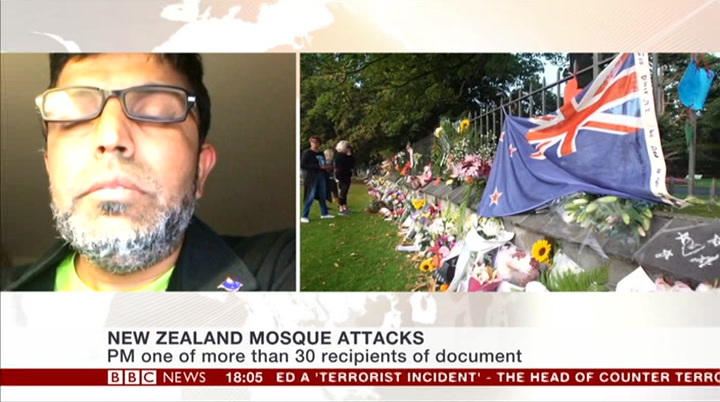 police in greater manchester have made four arrests, after three separate incidents of alleged hate crime in, which the new zealand mosque attack was mentioned. meanwhile, counter terrorism police in the south east say an incident at 10:30pm last night in stanwell, surrey, in which a man was stabbed, has been declared a terrorist incident. 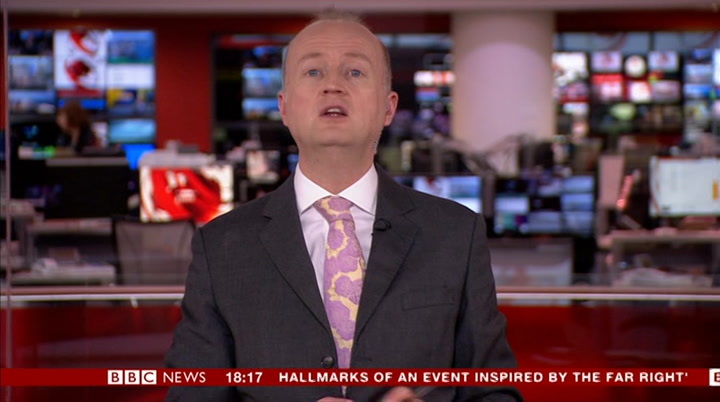 our home affairs correspondent tom symonds says the incident in stanwell is being treated extremely seirously. this was quite a big deal in sta nwell in surrey last this was quite a big deal in stanwell in surrey last night. armed police officers telling people to move out the way and not go in certain parts of the area. what had happened was, they sayjust before 10:30pm a man was reported as acting aggressively. shortly after that there was a report that a 19—year—old had been stabbed nearby. situation and a man and a woman in their 30s have been arrested. in 0xford, some graffiti has appeared overnight. 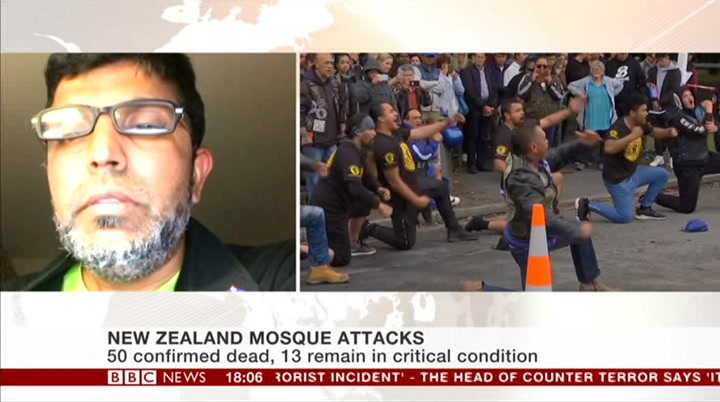 swastikas and a phrase that refers to an online gaming star, also mentioned by the new zealand attackers. police investigating and crucially saying they will step up patrols and go and visit places of worship in that area. a number of forces saying they area. a number of forces saying they are doing this to make sure people are doing this to make sure people are reassured. senior cabinet ministers, including the chancellor philip hammond, have suggested mps may not get a third chance to vote on theresa may's brexit deal if she can't pursuade enough mps to change their minds. the warnings follow a plea from mrs may for "honourable compromises" to avoid a long extension to the brexit process, or the possibility it doesn't happen at all. 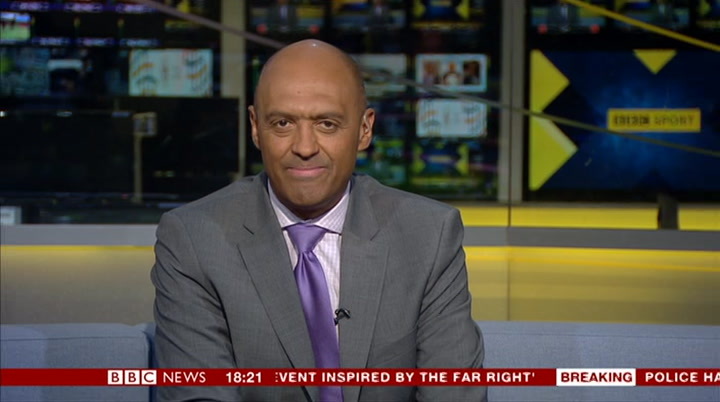 here's our political correspondent jonathan blake. some things never change. theresa may went to church as normal this morning before a week when the stakes for her and her brexit deal will be higher than ever. you are going to give them extra money in that deal in return for voting for the deal? well, we haven't even started to look at it yet. although a handful of mps who were opposed to the deal have now said they will back it, the chancellor admitted the government does not yet have the support they need and a third vote on the deal may not happen this week. if it does, it could also be a big test of parliament's support for another referendum. 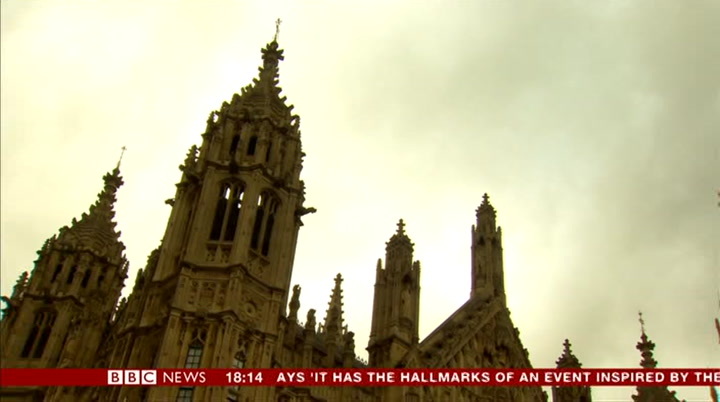 labour looks likely to back a plan to make mp's support for the deal conditional on it being put to a public vote. we will obviously decide on our whipping arrangements, but clearly we have had a very good discussion with them. 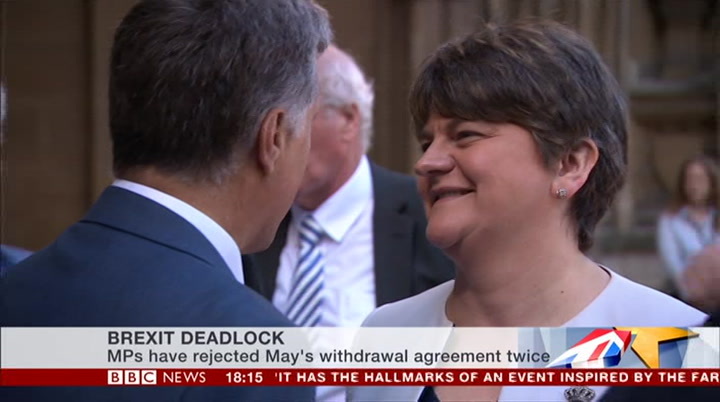 the key thing is actually theresa may's deal has now been rejected twice by parliament. rumour has it she is bringing it back on tuesday for a third time, if that fails a fourth time after that. this is ridiculous. this thing has been defeated comprehensively and she has got to recognise that we have got to do something different. mr corbyn also hinted he would push for a vote of no confidence in the government if mps reject mrs may's deal a third time. if defeat looks inevitable, there may not be a vote at all. 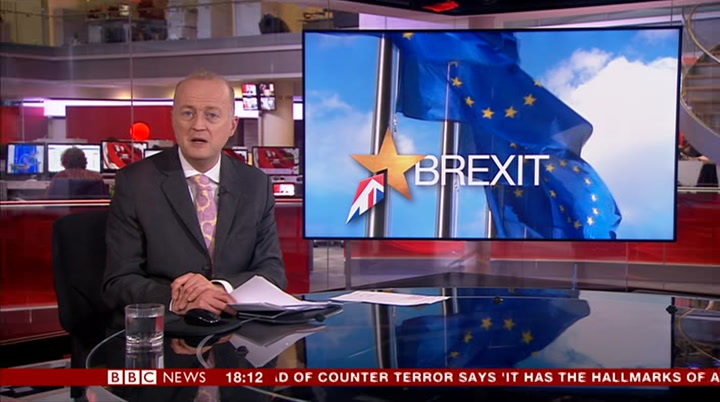 leaving big questions unanswered about where the brexit process goes from here. 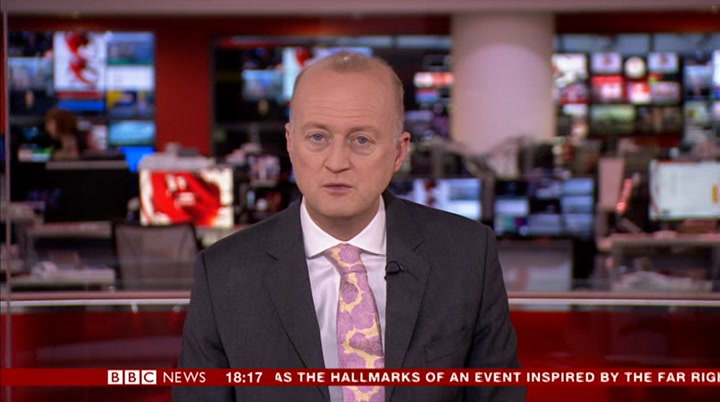 jonathan blake, bbc news. well, jonathan blake spoke to me a little earlier and had this update. this is an amendment which will be put down, it seems, if mps do vote for it again on theresa may's brexit deal this week, which is farfrom certain as we were just hearing. if they do, it will be put down which essentially says that mps will support theresa may's deal on the condition it is put to a public vote. so if parliament backs the deal, it will then have to be subject to what we call a confirmatory referendum. a significant change. it would see another referendum on that basis put to the public. what is not clear is what the question would be. theresa may's deal or remain? theresa may's deal or no deal? urgent 999 calls for two of england's biggest forces — west midlands and greater manchester police, have got significantly worse in the past five years. 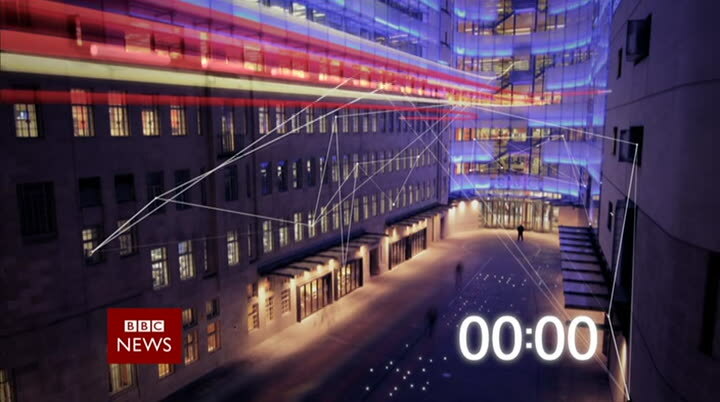 that's according to a freedom of information request by bbc 5 live investigates. in the west midlands the average response times for the most serious calls went up from ten minutes to 19 minutes. the home office says police funding will rise by £970 million over the next financial year. 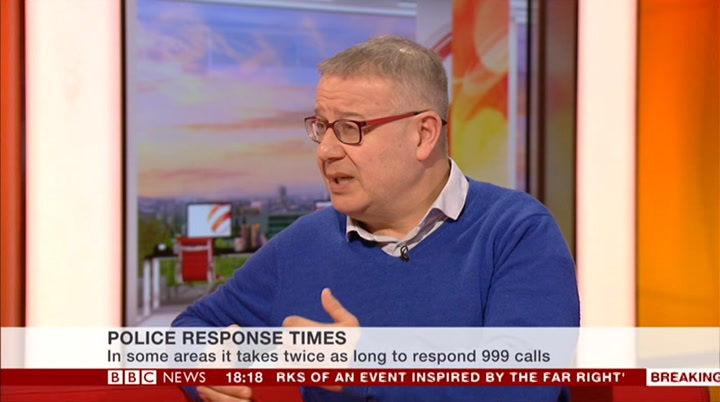 adrian goldberg, the presenter of 5 live investigates gave more details about the response times of some of the largest police forces. forces like west midlands where the average response time to the most serious, the most urgent crimes has gone up over a five year period from ten minutes to 19 minutes. in greater manchester, it's gone up from seven minutes to 12 minutes. in urban areas, the target time is 15 minutes a greater manchester are still meeting their target. west midlands aren't. frce with a smaller cut. force with a smaller cut. yes, but if you look at the level of funding per head for the west midlands, we are funded to the same level as surrey. and yet surrey does not have the levels of crime and the levels of deprivation and the young population that we have in the west midlands. lynette kelly, the assistant high commissioner for the west midlands. 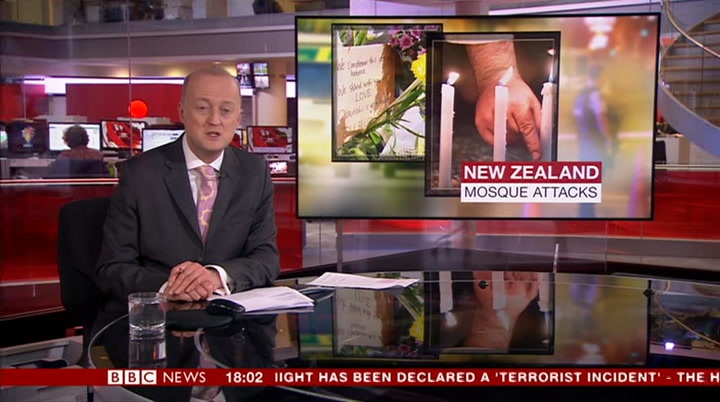 the headlines on bbc news: thousands of people attend vigils across new zealand to remember the victims of the mosque attacks as the country's prime minister says her office received a message from the suspected killer minutes before the shootings. the chancellor, philip hammond, says a significant number of conservative mps have changed their minds and are prepared to back theresa may's brexit deal if it went back to the commons for another vote. ethiopia's transport minister says there are "clear similarities" between black box data from last week's crash, and that of an indonesian lion air plane that crashed last october. were badly damaged by the floods. the government has announced a 14 day state of emergency in papua. flooding is common in indonesia, especially during the rainy season from october to april. officials had warned that widespread deforestation is aggravating the risk of floods. 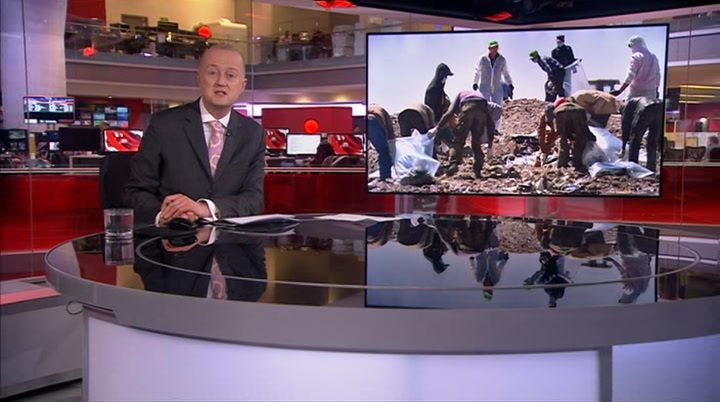 nga pham, bbc news. warming air and sea temperatures are causing arctic glaciers to melt, and now the increasing rainfall is creating problems for animals, like reindeer. 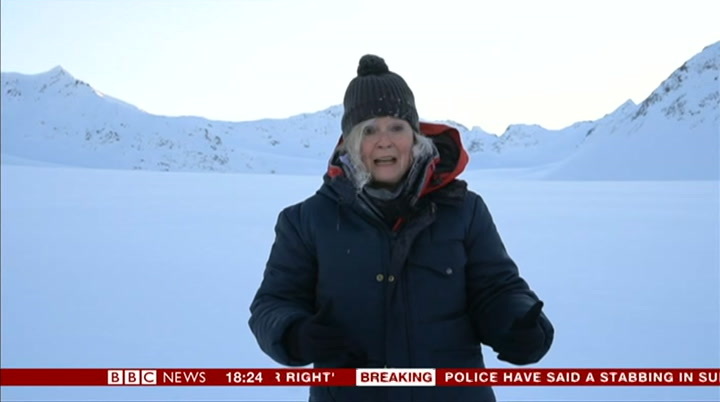 radio 4 today programme presenter martha kearney, has travelled to the region to see the effects of climate change, with british researchers. this former mining village has the feel of a frontier town in the wild west. 0ur posse headed out from the base on snowmobiles. i havejoined a convoy of scientists heading across the tundra towards a glacier — one of the most studied in the arctic. this is the edge of the original glacier where the ice brought huge boulders down. but since 1900 it has been receding. we are heading towards its modern edge, a form of time travel. after a kilometre we reached the snout where the glacier now ends. so starting around 1900 the glacier was all the way down the bottom of this valley and it has been rapidly retreating up in the last 100 or so years. more so in the last 20 or 30. the kind of changes that we are seeing are happening all across the arctic. this is... this is an emblem of what is happening in other places. it has a big impact on sea level. here on the top of a glacier which is 5,000 years old you really do get a sense of the extent of the melting ice, of climate change. 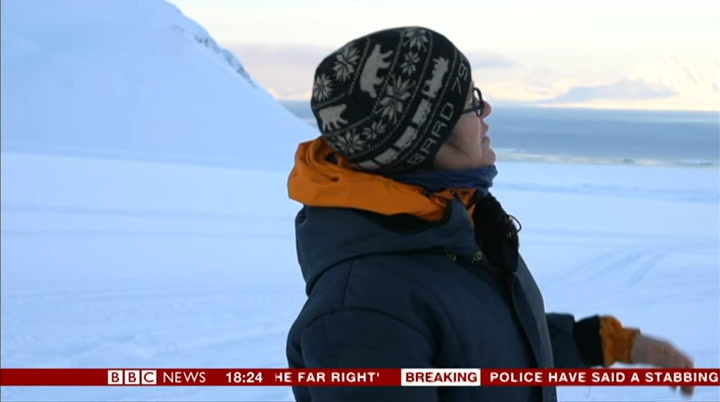 but scientists across the arctic are worried about a new threat which they have noticed here as well. and that is growing rainfall. this microbiologist has been coming here for 12 years to study climate change. i willjust use this probe to measure the depth of the snowpack and identify layers of refrozen rainwater within the snow. it has gone in easily. i've hit a hard layer, that is one rain event. push through that and you can hear a hollow sound tapping onto a layer of refrozen rain. that is two now. through that... i think that is a third. 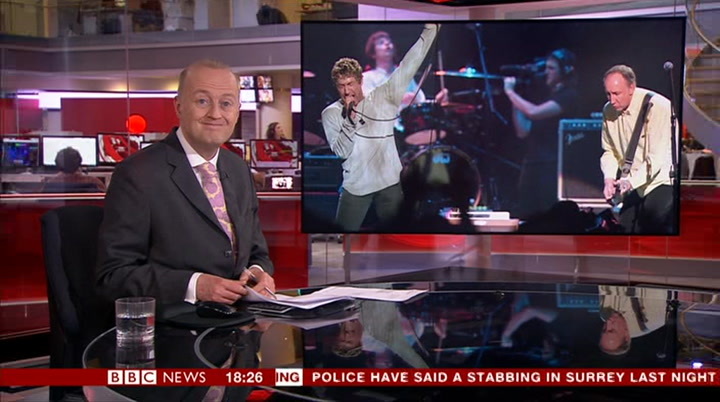 when we did it, although we had guests, it was the first time that we had done a stadium in the uk, so i remember been very excited about it, but i don't remember anything about the gig at all. i probably will remember this one. it was very loud. since forming in 1964, the who have played some legendary concerts — woodstock, glastonbury, and the isle of wight festival in 1970. when a band starts out, they are proving themselves every single night, no—one knows who they are and you have to let people know. now, you are the who, you've still got to do that. you can't go through the motions. if you start going through the motions, give up. especially with our music. it's music that demands you give it full throttle. as well as the wembley show, the band, responsible for classic songs like my generation, pinball wizard, and won't get fooled again, have also revealed they are releasing their first album of new songs for 13 years. it is going to be all right. it's going to be all right! it's going to be ok.
we have some great songs. is it a linear collection of songs? no, a little bit... a box of chocolates. i am always a bit eclectic in the way i approach music. i find it difficult to get into a particular groove and style and stay with it. i enjoy being in the studio and having fun and noodling around and doing different things. the farewell tour was 1982, so it has been a long farewell. it was a farewell to touring. we said farewell to touring until 1989, and it was done for a specific reason. we had issues in the band that needed to be addressed and the only way to do it was to stop doing tour after tour after tour. we were working down a wormhole to nowhere. 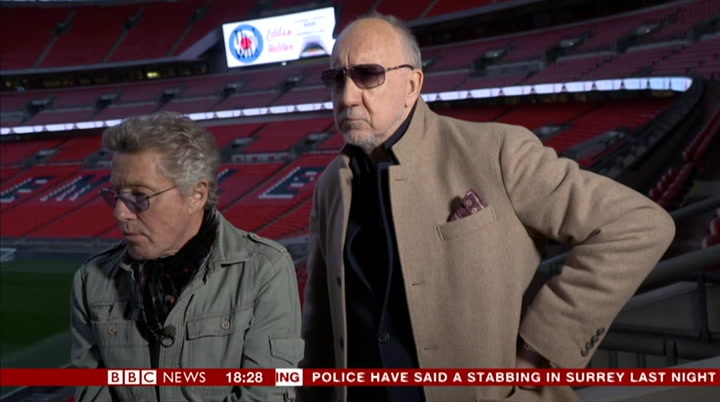 so, after 55 years and 12 albums, the who are showing no signs of stopping.